Take to the skies on Miss Rabbit's exciting helicopter ride! 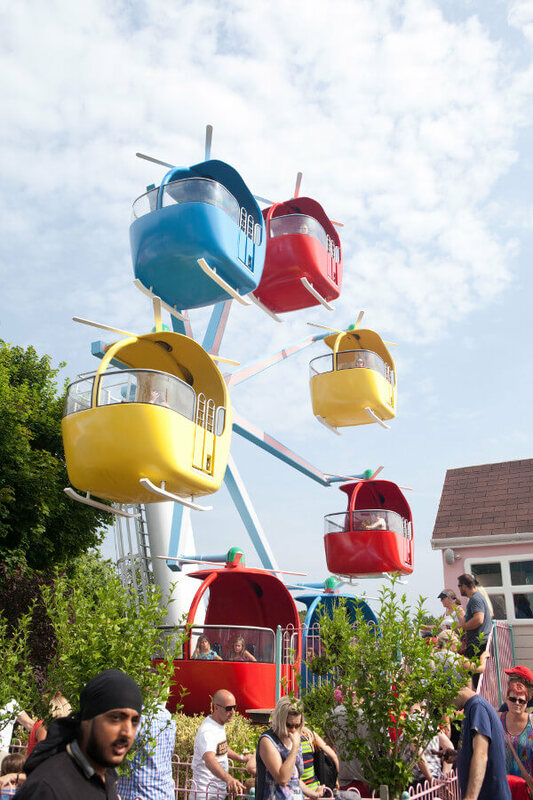 Miss Rabbit's got a brand new helicopter and this ride will take you for a spin above everyone's heads! 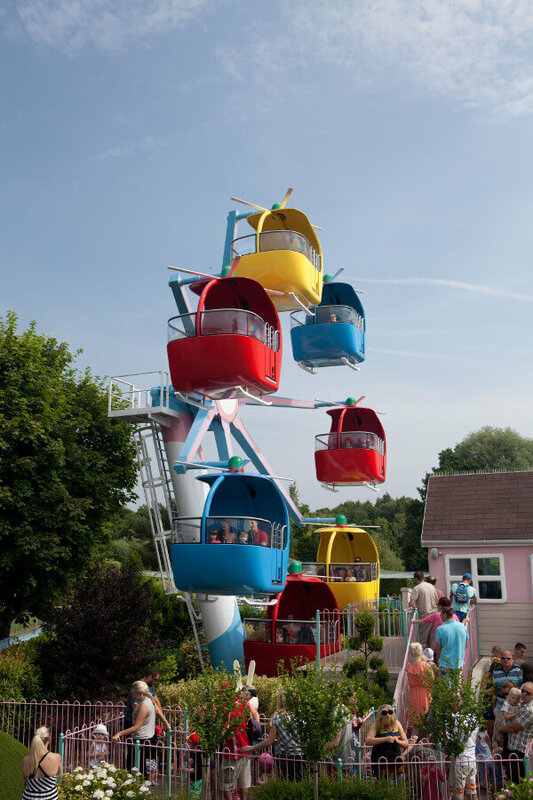 There is no height restriction to ride Miss Rabbit's Helicopter Flight. Children under 8 years old must be accompanied by a responsible adult. A maximum of 4 people to a Helicopter, these can all be adults. 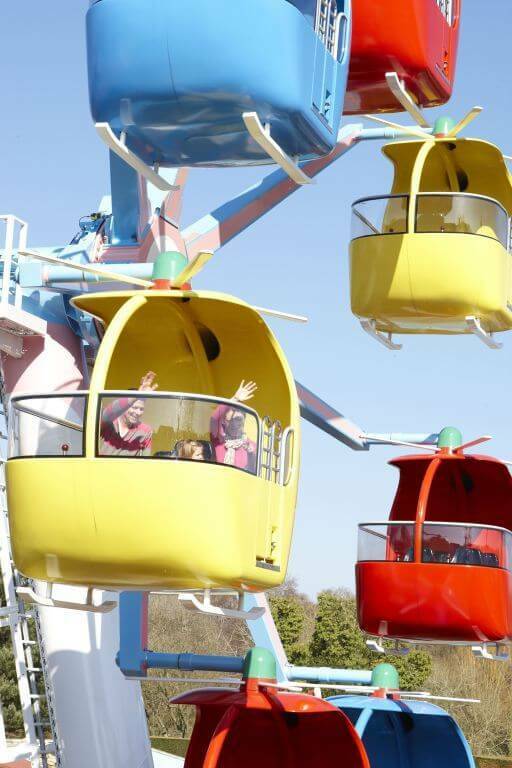 We do advise that the rides in Peppa Pig World are unsuitable for a child under 12 months old and everyone must use their own seat and sit unaided. 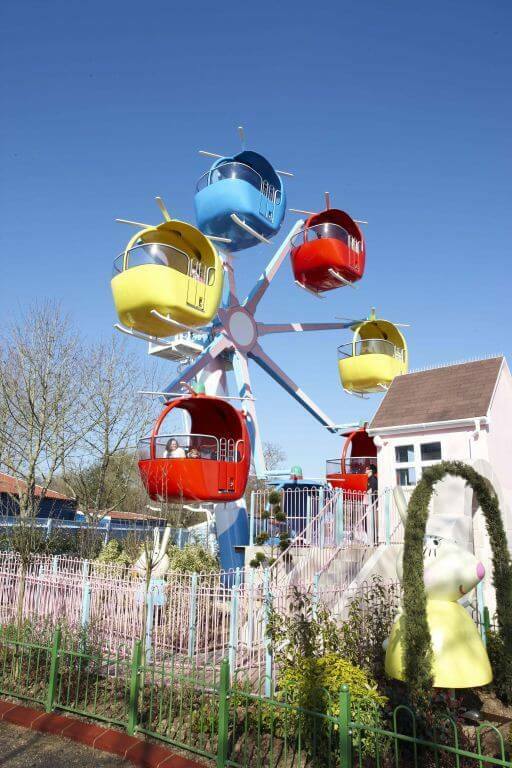 Persons who suffer from vertigo, Menieres disease, back or spinal problems, high blood pressure, heart conditions and pregnant women are advised not to use this ride. Guests must have upper body control. Wheelchairs can be taken into the ride area. Please note there is no wheelchair access through the queue line at this ride. Contact the operator and await instructions. Min. 1 Carer, Max. 3 Carers, Max of 1 group per ride.